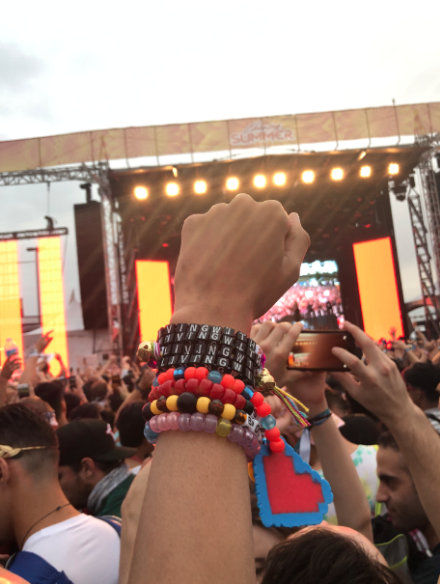 Rave clothing and EDM apparel are the perfect way to show off your unique and personalized style. Have you ever thought about tying in personal creations to your outfit to finish off the look? Friendship bracelets aren’t just for summer camp and elementary school besties anymore. 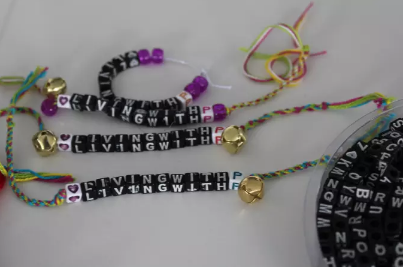 I want to show you how to create friendship bracelets that you’ll want to RAVE about. Get it? 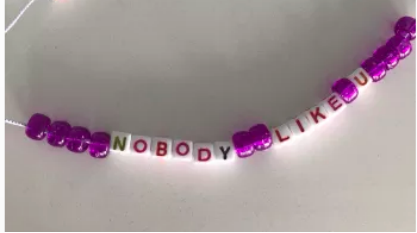 Adding these to your next Rave outfit will help you stand out, show your creativity, and add some extra pizazz to our outfit without spending too much money. Plus, they’re really fun to make and are pretty easy! You can customize these in whatever color scheme you want or with words and phrases you love. I can’t wait to see what you create! Visit your local craft store or search online to find all the supplies you’ll need to create your rave-worthy friendship bracelets. The only materials you’ll need are string of whichever colors/types you choose and beads. Beads are optional, but help add the personalized look to your bracelet. I found beads in the shapes of stars, with letters on them, and other fun shapes and colors. I also wanted to add in some miniature bells to my bracelet for some extra fun. For the top sample above, I used three different colors of string, letter beads, plain colored beads, and bells. For the bottom sample above, I used one string with letter beads and plain colored beads. 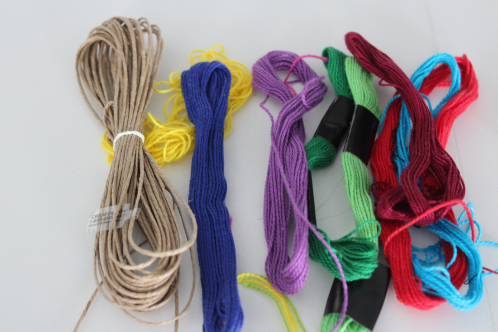 Once you’ve chosen the design for your bracelet and what you’re going to add on, start by measuring out the string. You can choose as many colors as you’d like, but I’d recommend starting with three. Cut each string about 80 inches (a little over six feet) and then fold in half (top photo on left). 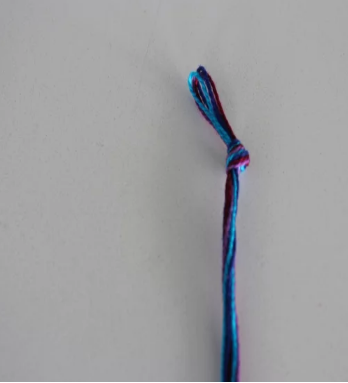 Once folded, tie a knot leaving some room at the top of about an inch for you to secure the bracelet. The tie signifies the start of your bracelet. Use a piece of tape to attach the top loop to the surface you’re creating on. From there, start doing a simple braid with the three strings. 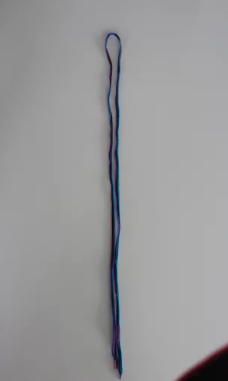 Separate the strings by color and into three sections. Each section will have two strings of the same color. Starting with the strings on the right side, pull them across the middle set of strings. These will then become the strings in the middle. Then, pull the left side of strings across the new middle set of strings. Keep alternating from right to left, creating the braided design. When you’re ready to add the beads, add another knot (the same way as in step three), pulling tightly to create a hold at the end of the braided section. Slide on your beads, tie on your bells, and add whatever else your design has. 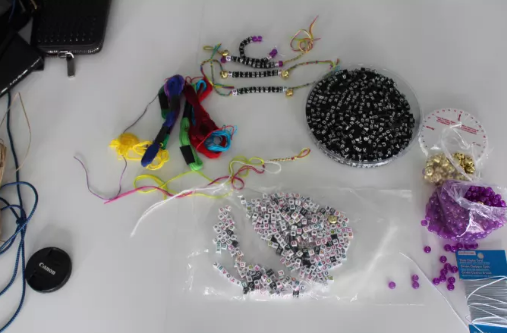 Once you’re done with the beaded section, tie another knot and do the same braiding motion until you’ve reach the desired length for your bracelet. Once you’ve finished the opposite side of your bracelet, tie another knot and then cut off excess string, leaving about 4 inches behind. Have someone tie the bracelet on your wrist, bringing the long side through the original hoop from the beginning. Tie the bracelet tightly enough to allow you to dance your heart out, but not too tight if you plan on taking it off and wearing again another time. I’d LOVE to see the creations you come up with…please share them with me in the comments or tag me on instagram so I can see!